For elopements, spur of the moment “let’s get married” ceremonies, I will use a standard ceremony that is 10 minutes long. You may use your own vows or I will use the standard vows. 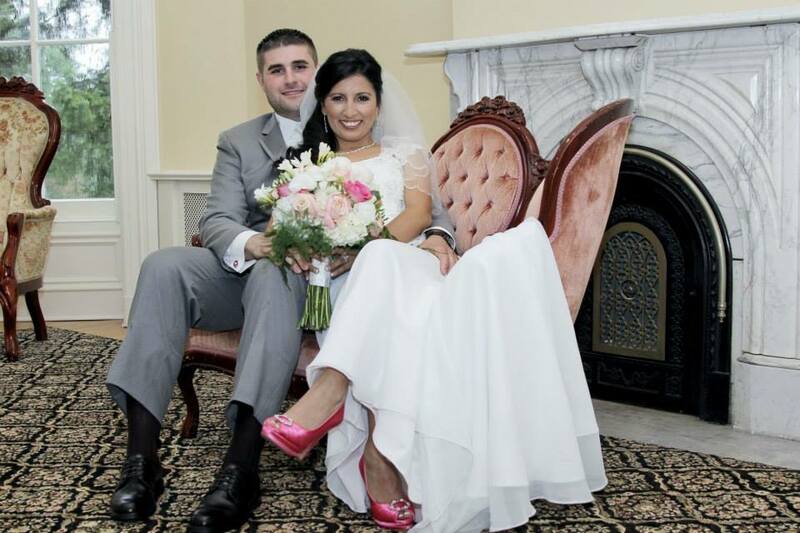 The price includes conducting and solemnizing the marriage, notarizing the marriage license, returning the license to the issuing authority and travel/time. For larger weddings or weddings where there are a few months before the big day, I will write a unique ceremony, just for you. I will include your love story, based on information you provide to me. I will research any special rituals that you want to include in your ceremony (as an example, hand-fasting ceremonies, candle lighting ceremonies, garlands) and will also research poems and/or special readings appropriate to your story and special day. If this is an inter-faith marriage, we can discuss and include special rituals from each faith that have special meaning to you. 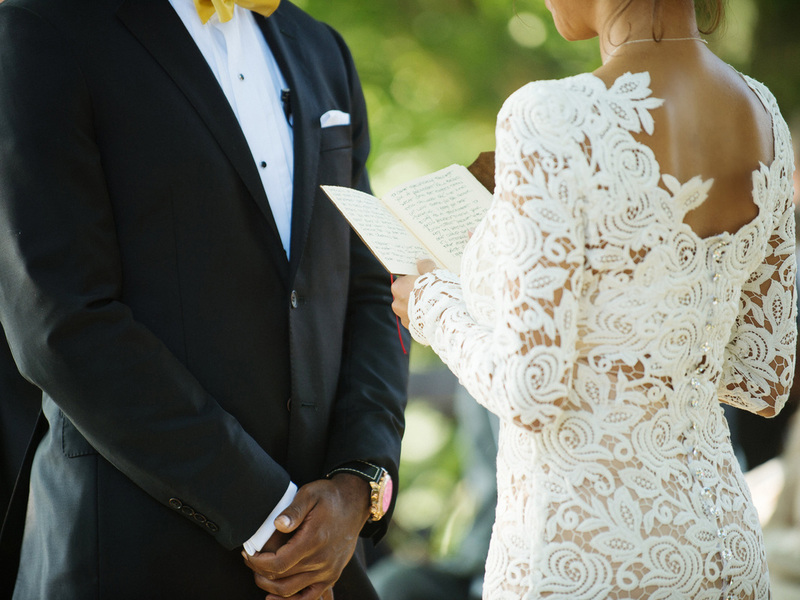 I can also help you write your vows. You always have final approval of the ceremony. 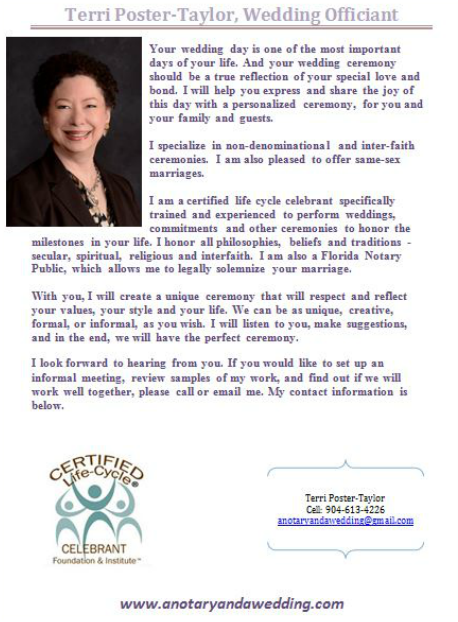 I offer a no-cost, no-obligation consultation so that you can decide if I am the right wedding celebrant for you! or you can upload it on the contact page.